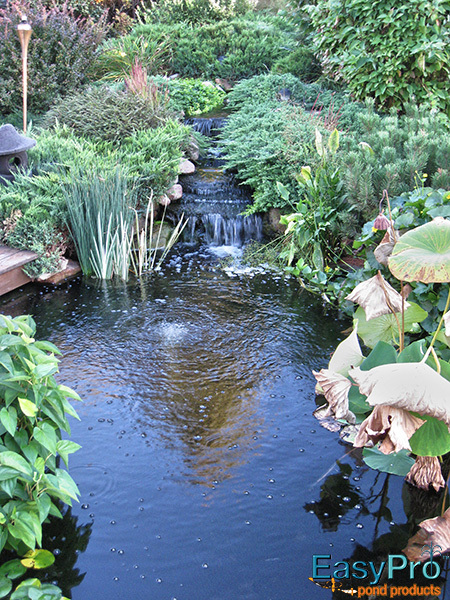 Supplying adequate oxygen levels and circulation during hot summer months or de-icing during freezing months is critical for pond and fish care. 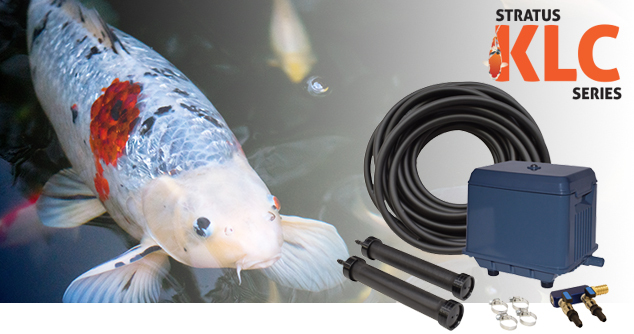 Four KLC aeration kits will provide these benefits to water gardens and koi ponds up to 30,000 gallons. Complete kits include KLC compressor with 6’ power cord, rubber membrane diffuser(s) and Quick Sink weighted tubing. Aeration kits powered by Stratus KLC series compressors. KLC compressors combine outstanding performance with great value!